Bard Youth Fest is all about young people making Shakespeare their own. 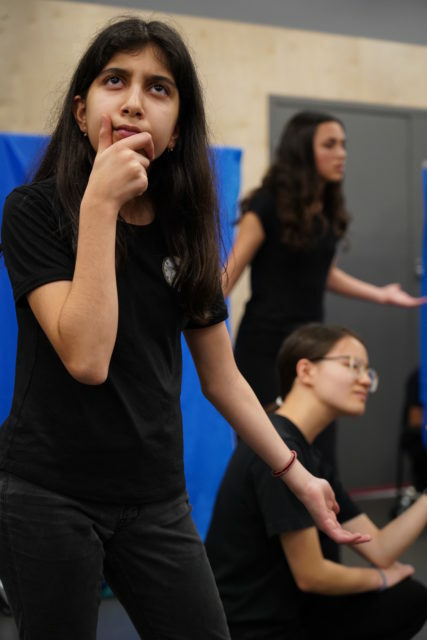 It transcends geographical boundaries to bring together a community of young performers and educators to celebrate different ways to play, think about, and perform Shakespeare. SIGN UP to become a Bard Youth Fest Mentor, and round up your Troupe of young actors! These might be students at your school or participants in a drama club you already run. Create and rehearse a short Shakespeare snippet with your Troupe with support from Bard on the Beach. Join other Troupes in performing your piece at the Bard Youth Fest Finale! Thanks to the generosity of the Richardson Family, participating in Bard Youth Fest is FREE! This includes script resources, coaching from a professional theatre artist, professional development workshops for teachers, and of course, participation in the Finale! Working with the Bard Actor was great. The students enjoyed creating and performing their own story with the guidance of the Bard actor. My students were so pumped after their performance. It made all the work worth it! Questions? Check out the FAQs below, or email our Education Coordinator, Katie Johnstone at kjohnstone@bardonthebeach.org. What is Bard Youth Fest? A community of young performers and educators who come together to celebrate different ways to think about and perform Shakespeare. It is a journey of creativity and discovery, an opportunity for young people to make Shakespeare their own. A teacher, other staff member, or any dedicated adult who acts as an advisor to the Troupe, and liaison with your Bard Coach and the Bard Education team. The Troupe Mentor can take a directing role, or support their Troupe of young performers in directing the Shakespeare piece themselves. What's a Bard Youth Fest Troupe? A group of young performers, supported by a Troupe Mentor and a Bard Coach, who meet to create their own interpretation of a Shakespeare piece to share at the Bard Youth Fest event. We welcome everyone; no matter their experience with Shakespeare and performance. 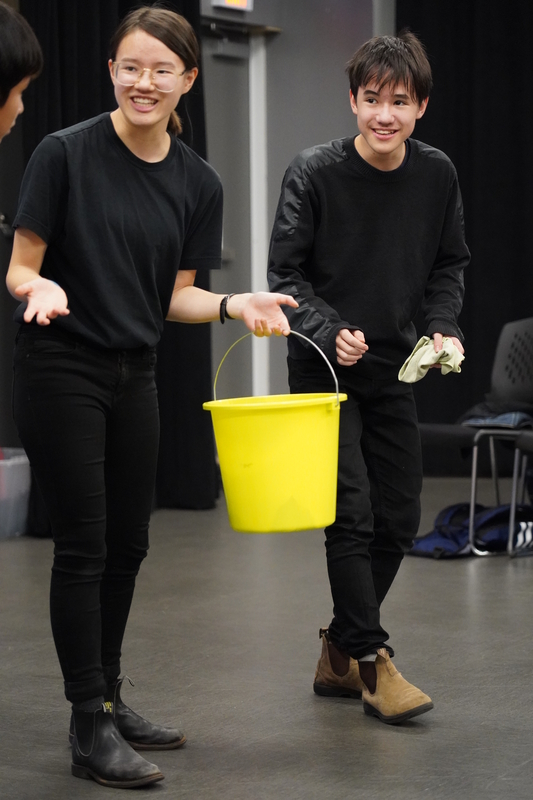 Bard Youth Fest will be an inclusive journey that empowers young people of all needs and abilities to make Shakespeare their own, and celebrate their creativity. A professional theatre artist contracted by Bard Education to provide advice, supporting, and coaching to your Bard Youth Fest Troupe. They will visit your school and run workshops to help you along the way. What will your Bard Youth Fest Troupe perform? Working towards your Bard Youth Fest performance will be a student-led journey, inspired and driven by their own passions, talents, and interests. We can provide schools with abridged scripts of Shakespeare plays (approx. 30 mins) which you can work with as you please. Your Troupe may choose to perform the whole thing, or to focus in on selected scenes and speeches. It may be an ensemble piece with movement and music which incorporates language from the play. It is up to you and your Troupe to get creative! Keep it simple. Focus on exploring the text and enjoying the creative journey. Your Troupe's performance should be centre stage; no need to spend time and money finding costumes. Use what the actors have, or choose something easy to source. Create the mood. Use performance techniques, space, and language to transport your audience – we won’t have a lighting and tech crew to do that for you! Discover your talents. Do you have students who play instruments? Who love telling jokes? Your Shakespearean performance will come together beautifully if the performers are engaged and take creative ownership. Remember: this is all about young people making Shakespeare their own! There is no right or wrong way to do it. Keep it short and sweet. Remember there are other Bard Youth Fest Troupes with work to show, so performances can run for up to 30 mins. You do not need to use all of that time and are welcome to prepare something much shorter.